Chest muscles are quite important for gym-goers and bodybuilders. Everyone loves to build strong muscles which looks masculine as they fill out a t-shirt and broaden the upper body. There are specific chest muscle exercises which are especially meant to help in building bigger chest muscles. Experts believe that the chest area is certainly the toughest areas to build. So, be focused and be regular and you will definitely be able to achieve what you are looking forward to. For this exercise, you need to sit down comfortably keeping your feet firm on the floor. Get the handles and slowly exhale as you will push the bars outwards. This will be done so that your elbows are totally extended. Inhale slowly as you get back to the start position. Your head shall be steady and you will concentrate on your chest muscles as you are pushing out. One set is of 15 repetitions. Try with lower weights and an increase in the number of repetitions. 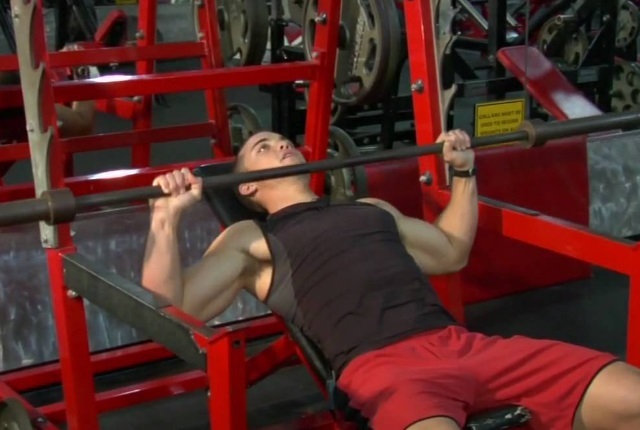 This exercise offers strength to the chest muscles and helps in building a bigger chest. Doing this exercise on an incline helps in targeting the upper chest muscles. You need to start the exercise by positioning yourself on the inclined bench at 30-45 degree angle. You will need a barbell with a smart upper hand grip. Hold this above your chest. You will extend your arms upwards and lock the elbows. You need to lower this bar straight downwards in a controlled movement. You need to pause and then press this bar towards the upper body in a straight line. Get back to the start position. This exercise works on the upper chest muscles and also the core muscles. To do this exercise you will do a normal pushup workout but the only difference is that your feet shall be elevated on a platform. You can use a bench or a box as elevation. The higher your platform is, the better workout you shall have for your chest muscles. 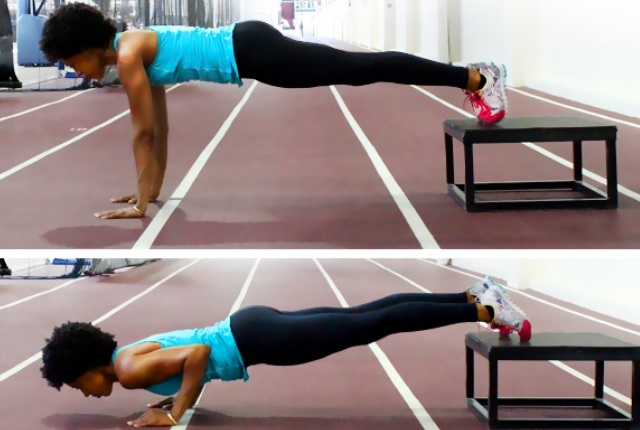 To do this exercise you need to start in the plank position and be comfortable as you begin. Your hands shall be on your shoulders. Your feet will be together. Your abs will be engaged back. Your body shall be flat. You will then lower your body as you keep your head up and your back straight. Your chest will almost be grazing the ground in this position. Your elbows shall be tucked in. Exhale and get back to the starting position. This will be your one repetition. You need to do at least 3 sets each of 10 repetitions. Remember not to strain yourself in any position. This is an easy way to build bigger chest but you need to be regular as it will take time. 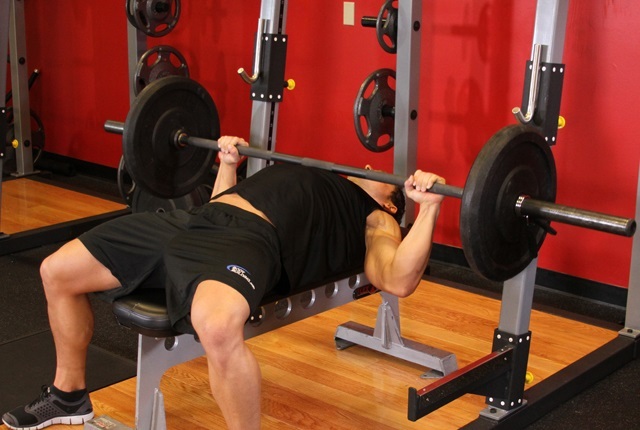 Start by lying down on your back on a flat bench. You will use a medium width grip and slowly lift the bar. Hold it just above your head. You will inhale as you slowly start lowering the bar downwards. It will move down till it lightly touches your chest. Take a brief pause and push the bar backward. It needs to get back to the start position as you exhale. You will lock your arms and also squeeze your chest muscles. You need to repeat the movement at least 6 times or as per your comfort level.